Highgate is an exclusive area in North West London with the added benefit of being one of London’s highest points, affording fabulous views across the capital. Home movers choose Highgate for its village-like qualities, including its own green, pond, central square and handsome Georgian terraces. 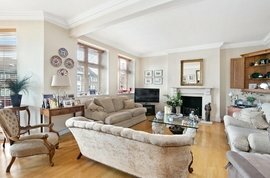 Why not browse our collection of properties in Highgate? Highgate borders Hampstead Heath, which gives residents access to wide open space and a sense of the countryside right on the doorstep. Highgate’s architecturally appealing housing stock attracts largely attracts affluent professionals, City workers and families that have worked their way up through the North West London property ranks. 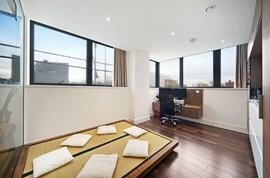 Once you get past the views, there is bags of period charm, a modern arts scene and great transport links. Highgate has long been a distinguished neighbourhood and its literary connections are outstanding. Charles Dickens had his characters from David Copperfield live in Highgate, while Her Fearful Symmetry by Audrey Niffenegger is set in the area, revolving around the beautiful cemetery, where the likes of Karl Marx and Douglas Adams are buried. One of the most famous buildings in Highgate is Highgate School, which has been in existence since before the mid-16th century. It boasts alumni such as Charles Clarke and Sir John Betjeman. Originally Highgate abutted the Bishop of London's hunting estate and the clergyman kept a toll-house where one of the main northward roads out of London entered his land. A number of pubs sprang up along the route, one of which - The Gatehouse - is still in existence as a popular hotspot among locals. Highgate has an attractive and historical centre called Pond Square, which is a large open space with places to sit. It is the main centre for events such as the Highgate Summer Fair and the much-loved Christmas carol concert. From here, locals visit Highgate’s cosy cafés and cool bars. The Gatehouse is more than just a pub, with a well-propped bar, a restaurant and Highgate’s fringe theatre - ‘Upstairs at the Gatehouse’ - on the top floor. Other pubs in N6 include The Red Lion and Sun, and The Flask Tavern, the latter of which is a notable traditional pub with wooden beams, fireplaces, bottle-glass windows and a labyrinth of snug rooms. As well as the excellent gastropubs that cater for the smart set; Highgate residents loosen up by heading to The Boogaloo on Archway Road - the place to be for live music and the occasional big-name band playing a secret gig. Highgate has great local transport links and the Tube services from its eponymous tube station take under 20 minutes to reach the heart of the West End. For car owners, Highgate is situated on the A1 leading to Islington in the south and the M1 in the north, making it an excellent choice for getting in and out of the capital. Local bus routes are numerous and frequent to the West End and surrounding areas of North London. The multi-purpose arts venue - Jacksons Lane Arts Centre - is set within a Grade II listed former church. Its programme of events features theatre, children’s shows, workshops, performances and evening classes. A remarkable collection of paintings including masterpieces by Rembrandt, Vermeer, Turner and Gainsborough can be found within the confines of the elegant Kenwood House on nearby Hampstead Lane. Ever-popular Hampstead Heath borders directly with Highgate and stretches across nearly 800 acres, taking in woodlands, playing fields and wild meadows. In warmer weather the Hampstead Ponds are perfect for a refreshing dip, while the commanding heights of Parliament Hill provide a popular destination for kite-fliers when the wind is whipping. Even more green space is available to the east of Highgate, with popular walking trails in Highgate Wood and Queen’s Wood. For golfers, Highgate boasts one of the few private membership London golf clubs that allow non members to play (players with a handicap welcome Monday to Friday, and only when accompanied by a member at weekends). 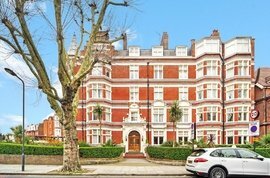 Expect to contend with wealthy Russians, City whiz kids and a smattering of celebrities when offering on properties for sale in Highgate. People choose the neighbourhood to put down roots, drawn in by the friendly atmosphere and proximity to Hampstead Heath. London Residential is frequently asked for N6's period properties, which include Georgian townhouses, Edwardian dwellings, mock-Tudor apartment blocks and houses on the Holly Lodge Estate - occupying land owned by philanthropist Angela Burdett-Coutts. 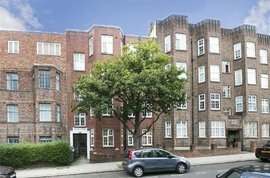 The inter-war mansions flats east of Highgate High Street are popular with both ends of the home moving spectrum - with an audience of first-time buyers and downsizers. Families often focus on the streets either side of Archway Road, where the red-brick Victorian terraces and Edwardian houses offer oodles of space and character. For more modern dwellings of a detached nature, we recommend the roads around Highgate Golf Course. Popular Search TermsWant to see frequently used search terms while searching for a property? You can use the browser settings to change your cookie setting. Otherwise we'll assume you're OK to continue.